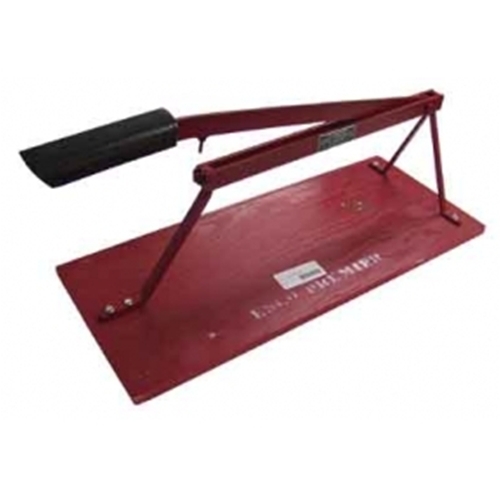 The "ESCO" slate cutter is especially designed for the slate roofer. It is light (8lbs.) , and is mounted on 3/4" waterproof plywood. The blade is made of long life double edged, case hardened tool steel, mounted in a steel frame. Great for cutting hips and valleys, the "ESCO" cutter also cuts half slate without any waste, leaving the same chamfered edge. Additional nail holes can be punched at the handle end. It will certainly pay for itself on one job.